The lovely snow base that we cross-country skiers have been enjoying for the past several weeks is slowly melting. 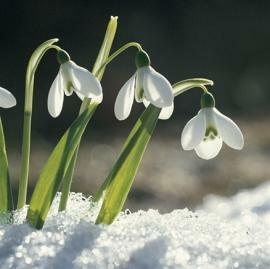 The Spring Equinox arrives in just 4 more days bringing more daylight hours, but not necessarily great ski conditions. Oh well… you can’t have it all! Mother Nature might still have a card or two to play. If so, we may have another chance to hit the trails at Ellenwood. The ski cabin will be open for equipment loans on Saturday and Sunday, noon ’til 4pm both days. The conditions have been good – and below zero temperatures should keep things skiable through the weekend. Come on out and enjoy the snow while it lasts! Can you ever have too much of a good thing? Well… maybe. Our volunteers will be out at the cabin this afternoon from 12:00-4:00! 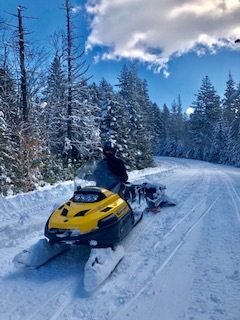 The conditions are PRIME for skiing and snowshoeing today… snowman-making too;-) The Mood Road has been plowed and Stephen will be grooming and setting tracks shortly. Get out to the Park and enjoy it! Maybe we’ll see you there! 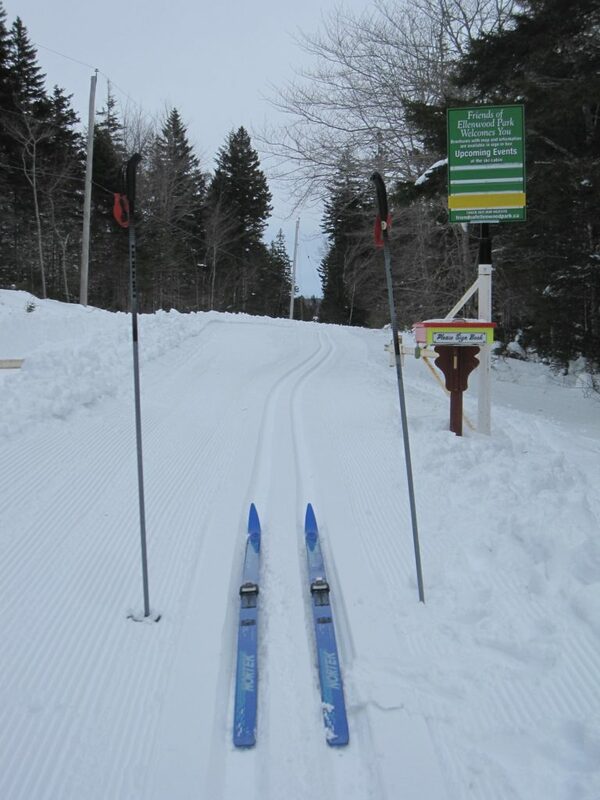 Thursday, February 21st – Stephen’s been out grooming at Ellenwood and the conditions are GOOD for skiing! 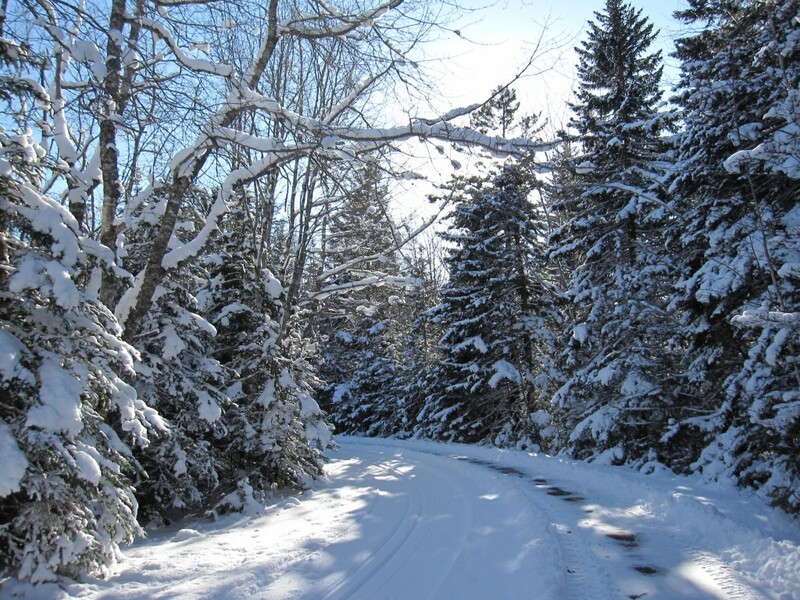 The walking path has been plowed also, but is still covered in icy patches – so be cautious. PLEASE stay clear of the ski tracks and WALK ON THE LEFT! The tracks take a lot of time to set and are easily damaged by foot traffic – human and canine:-( When ski tracks are damaged it poses a safety risk for skiers who can’t always slow down in time to avoid a fall. Thank you! NO SNOW MOON HIKE AT ELLENWOOD TONIGHT! There is too much ice underfoot hiding under a thin layer of snow and the walking is treacherous. We regret having to cancel this event due to safety concerns. It’s just not worth a broken arm or a chipped tooth. **If you do head out to the park, please use extra caution and expect icy conditions. Posted in Past Posts	| Comments Off on Valentine’s Day Special!